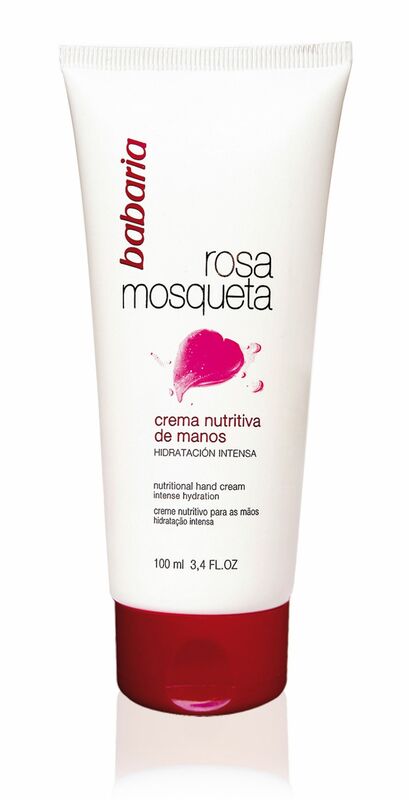 Babaria brings you this exclusive Rosehip Oil Intense Hydration Hand Cream for busy & tired hands. A super-smoothing synergy of Rosehip Oil known for its healing and water retaining properties. A texturally pleasing cream which absorbs quickly and easily to protect dry or dehydrated skin. One small application of this divinely smooth cream will soften and soothe even the roughest hands. • Apply a small amount to clean, dry hands as often as required. Aqua, Cetyl Alcohol, Stearyl Alcohol, Ceteth-24, Rosa Moschata Seed Oil (3% Aceite Rosehip Oil), Paraffinum Liquidum, Glycerin, VP/ Eicosene Copolmer, Phenoxyethanol, Methylparaben, Ethylparaben, Parfum, Tocopheryl Acetate, 2-Bromo-2-Nitropropane-1, 3-Diol, Citric Acid, EDTA Tetrasodium, BHT.